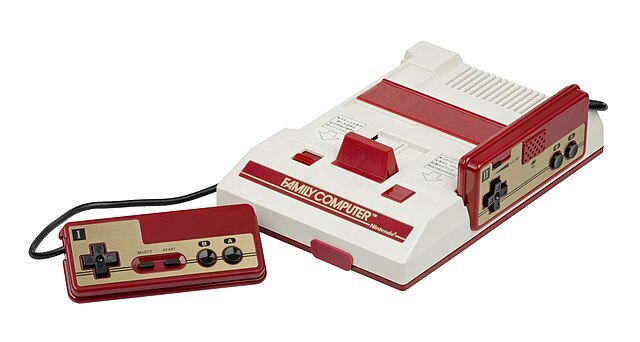 The Nintendo Famicom, a video game console released by Nintendo in Japan in 1983. The Famicom (short for "Family Computer") was Nintendo's first video game console, following the line of dedicated "Color TV Games" systems in the late '70s. The console was a success in Japan, emerging as the leader among a throng of rival systems from companies like Casio, Sega and Epoch. The system would sell over 19 million units in Japan in its lifetime, and released a variety of accessories like 3D glasses, a modem, a Basic/keyboard add-on and a disk drive.